Our September Card Kit, Sea Treasure will magically whisk you away to the imaginary wonders of the ocean floor! 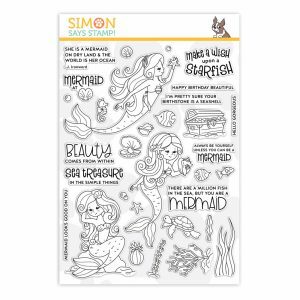 Start your alluring, under the sea designs with our enchanting Simon exclusive 6×8 Beautiful Mermaids stamp set! Beautiful Mermaids features three gorgeous, mythical mermaids with fabulous flowing tresses, and each adorned with pearl and shell accessories. You’ll find eleven seaworthy sentiments to inspire your delightful designs. Also included in the stamp set is a treasure chest overflowing with glittering riches, an oyster (with a pearl, of course! ), underwater plants, fishes, a starfish, a turtle, a conch shell, bubbles, and the sweetest little starfish EVER… all of which will help you create captivating ocean scenes! In addition, this kit rocks your world with THREE ink pads (seriously!) to make beautiful blue magic. Yep, two shades of Distress Oxide ink pads from the newest Ranger and Tim Holtz release, in both Tumbled Glass and Stormy Sky (OMG!). 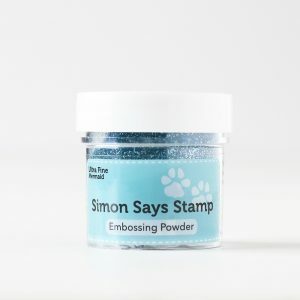 And we’ve included a Simon Says Stamp clear embossing and watermark ink pad. Use the embossing ink to make seawater sparkle with our brand new, Mermaid Ultra Fine embossing powder! And for even more marine blue, you’ll get one sheet of Tonic Deep Sea Dive embossed paper, along with a 6×6 sheet of Simon Says Stamp Aqua glitter paper. There’s nothing fishy about that! Rounding out this enchanting and aquatic kit is a sparkling gold package of our brand new, Simon exclusive Treasure Chest sequins, one sheet of Neenah Solar White cardstock, and two Simon Says Stamp metallic envelopes in White and Lavender so that you can send your magical, mythical mermaid designs to your favorite sea goddess! 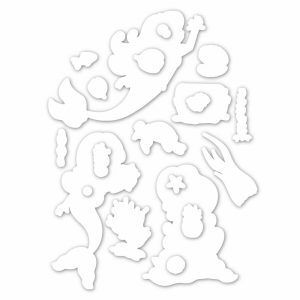 You’ll make a splash with our September Card Kit, Sea Treasure! I’ve filmed a walkthrough video that you can view below or on our YouTube channel HERE. 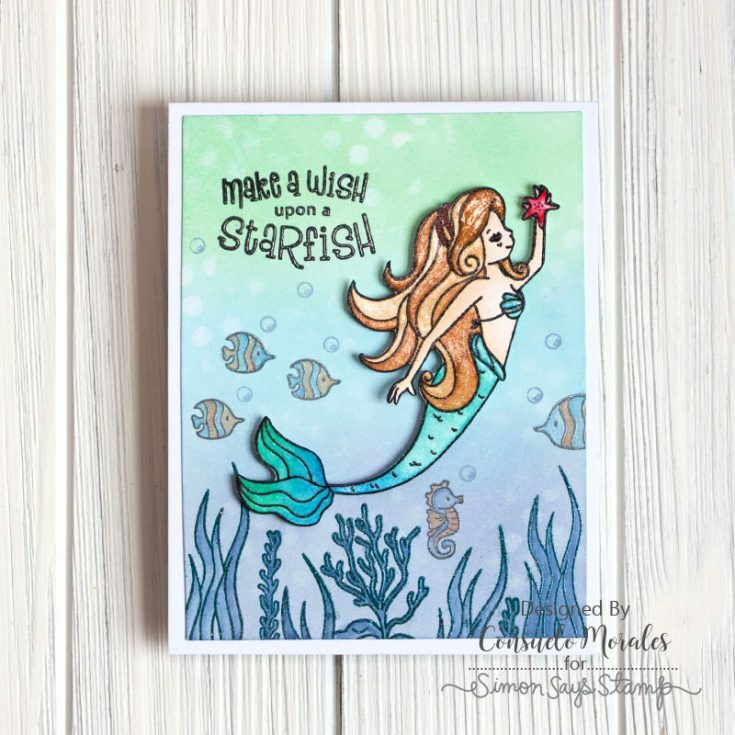 The Beautiful Mermaids 6×8 stamp set, Beautiful Mermaids Dies, Mermaid Embossing Powder and Treasure Chest Sequins are available for individual purchase in our store. If you are a subscriber who used Paypal to purchase your subscription, please be sure to pay the invoice that we send you within 3 business days. We have a limited number of this card kit in stock and don’t want you to miss out. 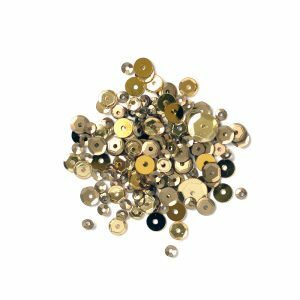 For easier and quicker monthly processing, please contact us via email or telephone and we will put your credit card on file as a courtesy for you. Card kits bill and ship between the 16th and 29th days of every month. Oh my !! That’s one more incredible kit !! What a great kit. Nina’s set is “fin-tastic” (it had to be said! haha), love the inks and papers. The designers cards are beautiful as well. L♥VE IT! omg this kit is wonderful, I am drooling!! But the exchange rate for Canadians?? ouch….. OMG!! I am in love with this card kit and I know my granddaughters are going to love it too!! Fabulous kit! The mermaids are gorgeous! WOW! I love mermaids! This is beautiful! Such an exciting kit! I can hardly wait! Awesome kit, love the lovely cards! Nice one, it’s great that the stamp set comes with dies! Fabulous release! I love it! Mermaid-arizing wonderful Kit! Like the wavy paper also. This girl is such a beauty, and I love all the purple and blue. Lovely set! The mermaids and inks are gorgeous! Cards are great as well. Great kit and video. Thanks for sharing. 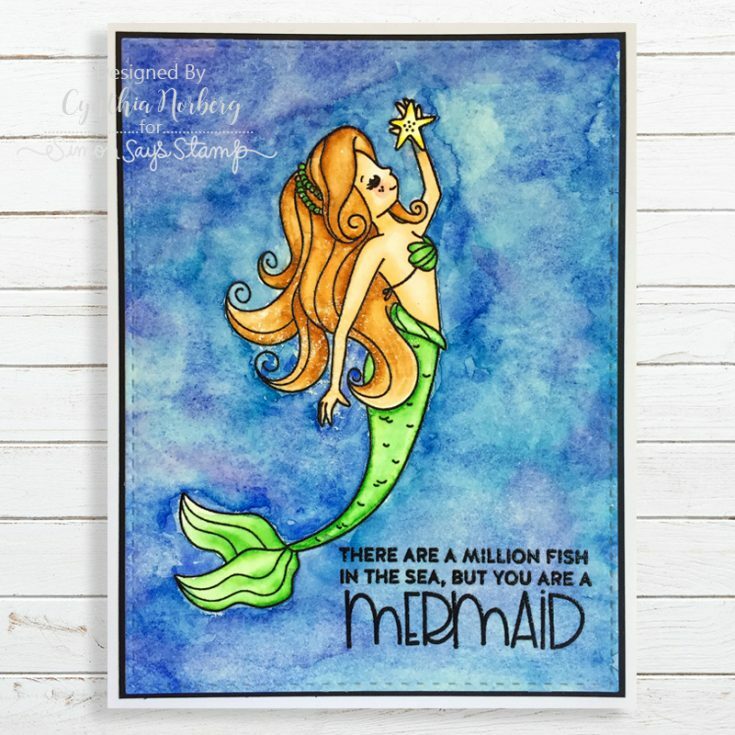 Fun mermaid stuff and great kids-cards! 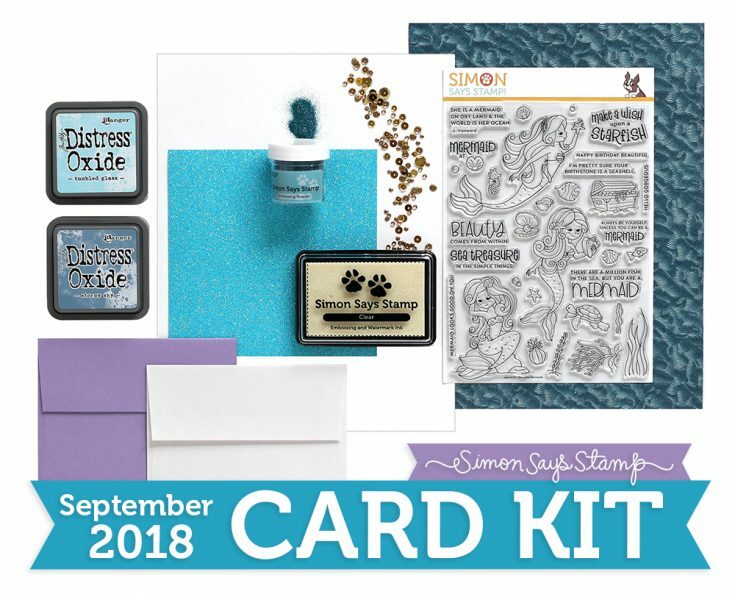 Wonderful card kit! All the cards by the designers are amazing. Love the colors..
What a delightful kit. There’s always something magical about mermaids. Thanks for featuring them in this kit. Granddaughter is in community theater’s Little Mermaid, so this is a big hit! I must resist, but she won’t like that! :o( LOL! What a lovely kit–Nina did a wonderful job designing those gorgeous stamps! I can’t wait to get my kit. Love this kit. Great Job! Cute set. But I think I’ll pass. I love the flutter set. Into my cart goes that fun kit! Nichol, this has to be your best!! It is absolutely gorgeous!!! I love the way you colored the mermaids, the background is superb, the fish with the little bubbles are precious, everything is perfect!! You used this new kit to the highest!! Kudos!!! Sorry, wrong post!!! But I love this kit!!! Is it in my mailbox yet??? I’m loving all the great beach and mermaid themes that seem to be so popular. This kit is super wonderful, the mermaids are so darn cute. Thanks for sharing your cards with us. Beautiful kit!!! I love the stamps and the textured paper!! Way too much fun waiting to happen … Mermalicious !! Another amazing card kit. You represent it well Shari. Nicely done. I am impressed by the mermaids. Thank you Shari for showing this awesome new Kit. 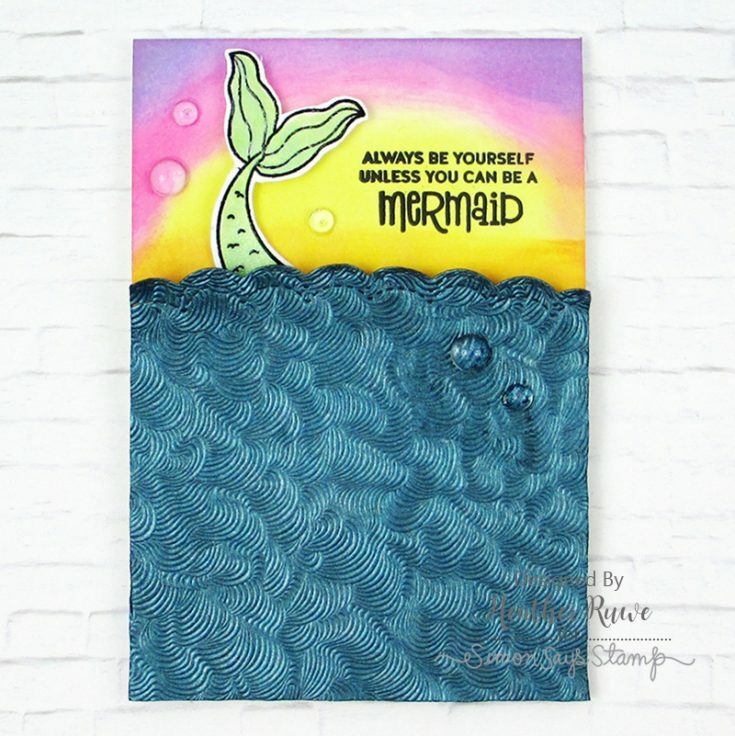 Love the gorgeous Mermaid stamps and the awesome Tonic Deep Sea Dive Embossed paper. What a lot of fun it would be to have and work with this stunning Kit.